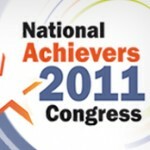 The National Achievers Congress is a strategically assembled program of diverse but complementary systems for success. You’ll hear from experts and specialists from all corners of the globe – each with unmatched track records in their fields. Academy for Chief Executives members are offered a £25 discount off of the published rate of £197 – see below for booking information. Sir Richard Branson, Lord Alan Sugar and Tony Robbins are brilliant keynote speakers who need very little introduction. Each is a master of business, a deep source of inspiration – and a model for success. They have each created a recipe that has taken them to the pinnacle of their professions and become Masters of Success. Now they will tell you how they did it, at the National Achievers Congress to be held in London, on 2-4 July. If you know you are independent-minded, open to innovation and ambitious to do better in your life, then with the help of this incredible day you can become the MASTER of your own success. And – what’s more – they will be heading a star-studded array of the brightest, most inspirational people in business and personal development today- whom you can chose from to find out the very best for you. The National Achievers Congress offers you an unprecedented opportunity to hand-pick from world-leading speakers, so that you can manage your own, specific Ultimate Success portfolio over 3 unforgettable days. Academy members interested in booking should contact Susan Soley on 0845 118 1028. Posted in: Experiential Learning, Leadership. Probably the best line up of business and motivational speakers I’ve seen assembled and one can’t fail to learn from the info and strategies that they will be sharing at the event. The Diamond ticket appears to be a great business investment as the opportunity to have cocktails with Richard Branson (and of course the kudos and credibility that can be gained) is a rare one indeed. Can’t wait to ge there and get networking! !